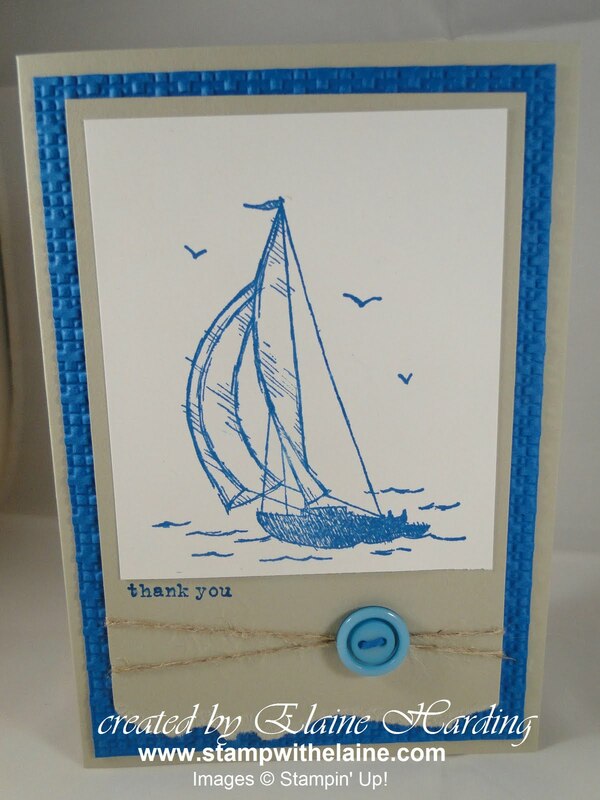 This is the final sample for Sail Away. 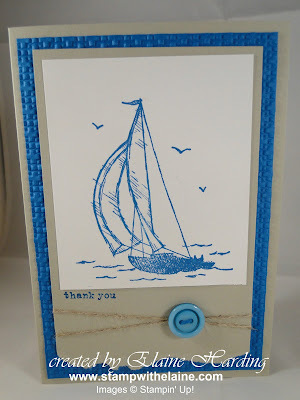 I ran a piece of Pacific Point through the Big Shot with the Square Lattice Embossing Folder. In keeping with the masculine theme, again minimal layers using fairly reserved colours and no ribbon.